城堡 100th Episode Party. 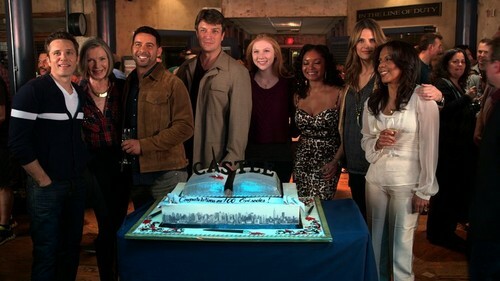 Nathan celebrates 100 episodes of 城堡 with the rest of the cast and crew!. Wallpaper and background images in the Nathan Fillion club tagged: castle photo cast 100th episode 100th episode party abc nathan fillion nathan fillion. This Nathan Fillion photo might contain 商务套装, 西装, 精心打扮的人, 西装, 裤套装, 裤装, 穿着好衣服的人, 裤子套装, 穿得好的人, 套装, 衣服套装, 套装, 西装, 衣服, and 套衣服.